Bhai Dooj is a special occasion to strengthen the bond between a brother and sister. A sister wishes for a long life of a brother with a special gift. 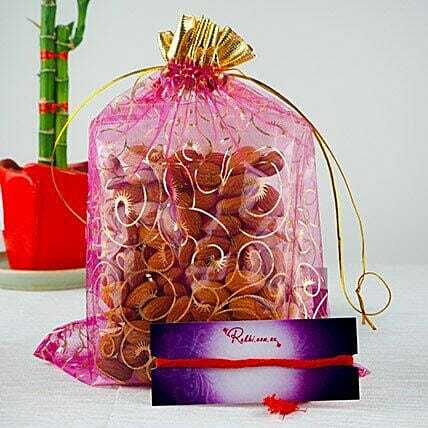 This 400 grams packet of mixed dry fruits along with an auspicious red thread and roli chawal would be the perfect gift for your darling brother who is away from you. The healthy and nutritious dry fruits would keep your brother hale and hearty. Store your sweets in the refrigerator.